SignGround was built with the sole purpose to supply advertising agencies as well as other businesses in the sign and display industries with high quality materials. 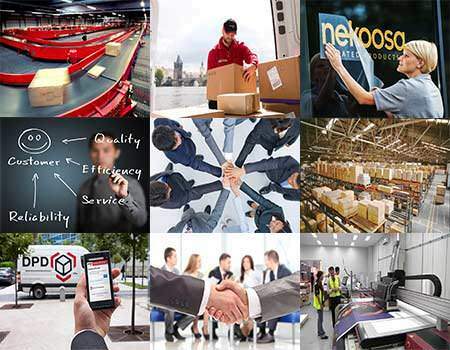 With over 20 years of experience we now offer a broad range of products which have been tested and approved by our large network of customers in the European Union. By choosing SignGround you not only choose quality but also expertise and knowledge. We believe in recruiting the best people and in providing them with the necessary training so that they can advise you with confidence. Our staff are all passionate about customer service and always put you, the customer, first. The minimum order for most products is just one meter, so you can order exactly what you need – no more, no less. 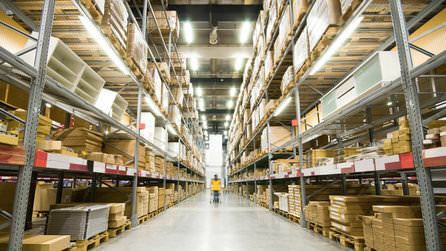 SignGround is proud to have one of the largest warehouses in the EU. We are always fully stocked with 99.9% of the products we sell. Moreover, we are equipped with modern processing and packaging machines allowing us to provide turnaround of less than 24 hours for most of our products. Check the numbers of the quantities we keep in stock and understand why your orders will never be delayed because a product is out of stock! As an EU registered company, SignGround has the advantage to sell to other EU businesses with ease. No matter where your business is located, we can ship on the best rates without additional taxes or fees. Companies with valid EU VAT numbers can also shop without VAT on this website. Locations – We deliver everywhere in the EU! SignGround operates from three convenient European locations. Depending on the availability and the customer location, the orders are dispatched from one of the three locations. Our warehouses are equipped with modern technologies allowing us to provide fast turnaround for our customers.